In a move reflective of it's commitment to the GLBT community, ilume™ developer, The Crosland Group, has offered and the North Texas GLBT Chamber of Commerce (the "Chamber") has agreed to space for new offices in the new mixed-use development located on the western end of the Cedar Springs Entertainment District. This new and first-ever retail, public space for Chamber is made possible through a two-year lease grant by The Crosland Group. 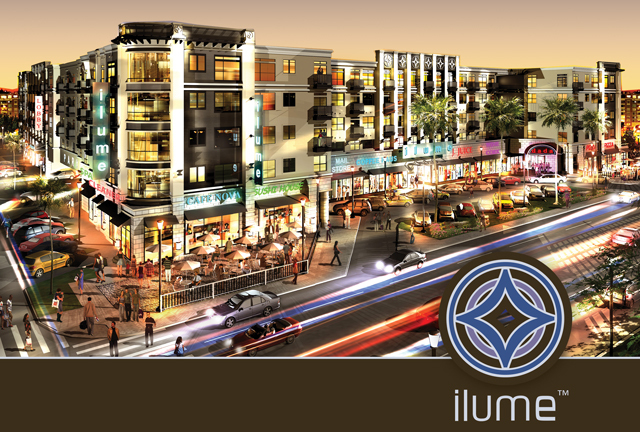 ilume is the largest, most-comprehensive project to occur on Cedar Springs. It has changed the landscape of the neighborhood and we are thrilled to be a part of this exciting new development. "This is an exciting time for us as we prepare to open phase one of our residences in July with retail and restaurants to follow shortly thereafter," said Luke Crosland, chairman and CEO of The Crosland Group. "We are committed to developing solid partnerships with the GLBT community and we can think no better an example of this than the Chamber." The new Chamber offices will be located on the first floor and will consist of two offices, a meeting area and kitchen. The ilume concierge desk, located on the same floor, will distribute Chamber information to residents and visitors. "Having a space accessible to the community has been a top priority for the Chamber from our very start," said Tony Vedda, president and CEO of the Chamber. "ilume is the largest, most-comprehensive project to occur on Cedar Springs. It has changed the landscape of the neighborhood and we are thrilled to be a part of this exciting new development." ilume, the first Green Built North Texas building in Dallas, is a five-story, self-contained development comprised of 23,000 square feet of retail space and 316 luxury apartments offering boutique hotel amenities. Phase One of the residences will open on July 1, 2009. The retail portion of the project is scheduled to open fall 2009. The majority of the available retail space is leased or committed and includes DISH, the first Red Mango in Texas, Beyond the Box and Eco-Cleaners. Based in Dallas, TX, the North Texas GLBT Chamber of Commerce began in 1993 as the Stonewall Business & Professional Association. In 2005 it was organized as the North Texas GLBT Chamber of Commerce (the "Chamber") to address the expanding needs of the community. The Chamber works to improve the economic vitality of the region and support the positive attributes of a diverse workplace and community. It represents, promotes and advocates for GLBT and allied business throughout North Texas. In addition to its public policy initiatives, the Chamber provides regular networking and informational programming for its members throughout the year. For more information, please visit, http://www.glbtchamber.org. Based in Dallas, TX and founded in 1975, The Crosland Group is an investment builder of income producing properties through related entities active on a regional basis. Projects have been produced throughout the United States, including Tennessee, South Carolina, Maryland, North Carolina, Florida, Texas, Arizona, Colorado and California. These projects have included free standing retail facilities, warehouses, regional shopping centers, industrial parks, office buildings, luxury apartments, condominium towers and residential sub-divisions. 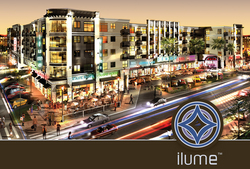 ilume™, the first Green Built North Texas building in Dallas, is a five-story, self-contained development housing 316 luxury apartments and 23,000 square feet of retail space that includes cafes with bar and outdoor patio seating, restaurants, essential shops as well as service retail and lifestyle shopping. The complex offers front door parking, two-way drive-thru and direct accessibility to the garage. Residents are offered over 7,000 square feet of boutique hotel quality amenity space; including chandeliered lobby with concierge, game lounge with Poker / Wii Room, a signature Champagne Lounge, Great Room, business center with WiFi, fitness center, yoga/spin room, pet grooming facility and tanning room. For more information, please visit, http://www.ilumedallas.com.